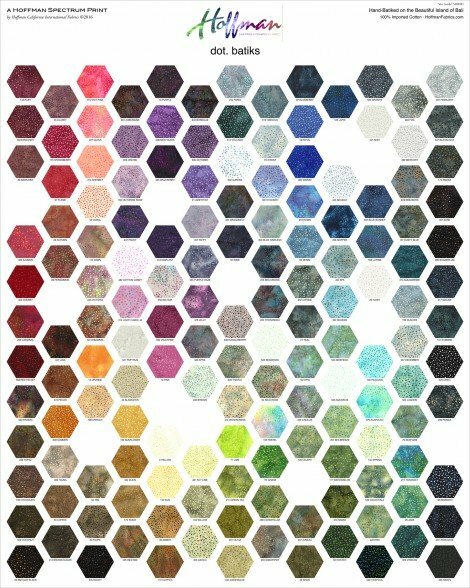 One panel of Hoffman Digital Spectrum Print featuring hexagons of the 885 Batik Dots, printed on 100% cotton. Each panel measures one yard, with a width of 42"-44". Each hexagon measures 2 3/4" at its widest point.